Please note that entries can be changed or deleted at the request of the Past Student profiled. Members are invited to submit Profiles for inclusion on this page, preferably with the permission of the person profiled. Paddy BERKERY (1939 – 47) was the first captain of Old Crescent RFC, and then of Landsdowne RFC, and played International rugby 11 times for Ireland, between 1954 and 1958. He passed away in May 2013. Desmond O’GRADY (1948 -50) is described by Seamus Heaney as ‘one of the senior figures in Irish literary life’. He taught in Paris, Rome and the US and he has published seventeen collections of poetry, including The Road Taken: Poems 1956 – 1996 and The Wandering Celt. Dan TIERNEY(1948 – 54) received an Honorary Doctorate from the University of Limerick. He was author of the Science Technology and Innovation Advisory Council Report 1995, and was chair (1997-2007) of the National Standards Authority of Ireland. Terry WOGAN (1946 – 54 and class of 1956) has been a media personality in Ireland first and then in Britain, since the 1960’s, and has presented his own chat show, Wogan, on BBC Television. Professor Niall O’HIGGINS (1948 – 57) , was Professor and Head of Department of Surgery, University College Dublin (St Vincent’s University Hospital) and Professor and Chairman, Department of Surgery RCSI 1978-2007: He wrote approximately 300 publications, including book chapters, relating to surgical oncology, especially breast cancer, surgical endocrinology, especially thyroid disease and surgical training. Desmond O’MALLEY (1946 – 57) served as a Government Minster in four different Ministeries between 1970 and 1992, and he was also a founder member of the Progressive Democrat party. Ron BARRY (1959, Class of 1962) was National Hunt Champion jockey in Britain in 1972/3 and in 1973/4 and won the 1973 Gold Cup, and he later became an inspector for the Jockey Club. John MURRAY (1951 – 55; Class of 1962) served as Attorney General in 1982, and was the Chief Justice in Ireland from 2004 till 2011. CHARLEY HARPER is an artist whose work is included in the San Francisco Museum of Modern Art, the Irish Museum of Modern Art, and by the Irish Arts Council. He is a member of Aosdana and the Royal Hibernian Academy. TIM O’MALLEY was a TD from 2002 till 2007 for the Limerick East constituency, and was Government Minister of State with special responsibility for Mental Health at the Department of Health and Children. John NAUGHTON(1964) is the Professor of the Public understanding of Technology at the Open University, and a columnist at the Observer for almost thirty years. Judge Kevin O’HIGGINS (1953 – 59; Class of 1964) was appointed a judge of the European Court of First Instance in 2008. Paddy BUCKLEY (1966) has been the Executive Secretary of the Royal Irish Academy for over twenty six years. Tommy FRAWLEY (1957-59; Class of 1967), is Northern Ireland Assembly Ombudsman and Northern Ireland Commissioner for Complaints. He attended the Bun Scoil (Junior School) from when he was 8, in 1957, until his family moved to Belfast. Bill WHELAN (1968) is a music composer who received a Grammy Award for his Riverdance composition. 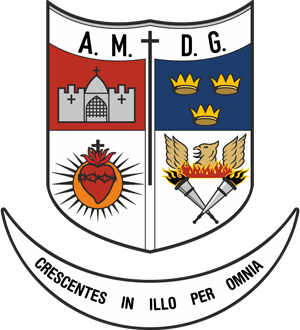 John NOONAN (1967; Class of 1969) is the Bishop of the Diocese of Orlando, Florida, USA, since 2010. Michael O’SULLIVAN SJ is director of the MA Programme in Christian Spirituality AllAll Hallows College, Dublin City University, and the author of How Roman Catholic Theology can Transform Male Violence against Women (ISBN- 10 0773414487). Peter IRETON (1970) is a founding member of ‘Bothar’, a leading Irish, World Humanitarian Aid Agency, which helps people help themselves, by distributing livestock throughout the world. He was CEO of ‘Bothar’ from 1991 – 2011. Noel STAUNTON (1970) is a graduate of RADA, worked at Glyndebourne, the English National Opera Company, was executive of Baz Lights director on premieres of Moulin Rouge around the world, and on their premiere of La Boheme on Broadway. Noel was executive director of the Sydney Harbour Bridge 75th Anniversary celebrations, and of the Sydney Dance company. Currently (2012) he is Artistic Director of the Brisbane Festival. Pat O’SULLIVAN (1971) is the Headmaster of Rockwell College. Kevin WALLACE (1972) is a Theatre Producer based in London, who has produced “The Lord of the Rins, Lloyd Webbers’ “Whistle Down the Wind”, The Beautiful Game”, “Jesus Christ Superstar” and “Sunset Boulevard”.Kevin produced the UK tour of Jesus Christ Superstar and won an International Emmy Award in 2001 as Executive Producer of the film based on that production. Joe LITTLE (1973) is the Religious and Social Affairs Correspondent of RTE and a member of the RTE Authority. 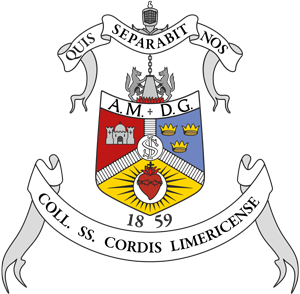 Leonard MOLONEY SJ (1973) is Headmaster of Clongowes Wood College. Peter WALPOLE SJ (1973) is a member of the Philippine Jesuit Province, the director of the Institute of Environmental Science for Social Change (ESSC) at the Ataneo de Manila University, the executive director of Apu Palamguawam Institute for inidgenous people, and the author of several books and ecological studies. 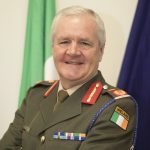 Major General Kevin COTTER is the Deputy Chief of Staff (Support) of the Defence Forces and is a member of its General Staff. His responsibilities include Strategic HR, Logistics, Finance, Infrastructure and Legal Services. He has extensive overseas service with the United Nations, the Organisation for Security and Cooperation in Europe, the North Atlantic Treaty Organisation and the European Union in the Middle East, the Balkans, Europe and Africa. Fr. Brian KELLY OSB (1971) took his solemn profession as a monk of the abbey of Our Lady of Quarr, Isle of Wight, England, in August 2005. Darina KNEAFSEY (Brebuf 1977) is Chief Operations Officer at Trinity College Dublin, and a member of the College’s Senior Executive Group. Reamonn KEARY (Wadding 1979) served as the Chairman of the Senior Examiners at the RIAM for seven years and from 1997 to 2004 was a member of the Cultural Relations Committee of the Department of Foreign Affairs. Andrew DILLON(De Chardin 1980) is Dean and Louis T. Yule Professor of the School of Information at the University of Texas at Austin, where he also holds faculty positions in Psychology and Information Risks and Operations Management. 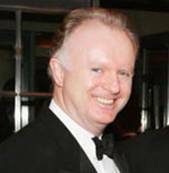 John HARTNETT (1980) is President & Founder of the Irish Technology Leadership Group(ITLG), and on US Secretary of State Clinton’s Northern Ireland Working Committee. 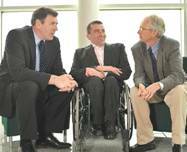 In June 2011 Limerick Institute of Technology (LIT) named The Hartnett Enterprise Acceleration Centre in honour of John. 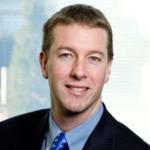 Paul RELLIS (is the Managing Director of Microsoft European Operations. Paul McNAMARA (deBritto 1984) is an international opera singer, based in Berlin. His performances in Tannhauser in 2009 earned him a nomination in ‘Singer of the Year’ in Germany’s prestigious Opernwelt. A critic wrote ‘everything required of a Wagner tenor was solidly in place: a big range, a formidable technique, an effortless top, musicality, expressive power and stamina’. John HERLIHY (Canisius 1985) is the Google’s vice-president of online sales and operations. 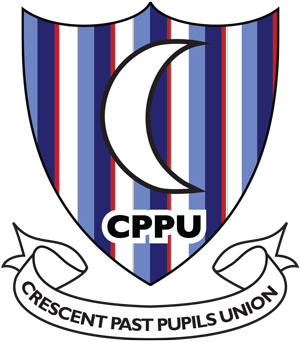 Gary KIRBY(Collins 1985) is entered on the Crescent College Roll of Honour for his achievements in hurling, which included ten county championships, two Munster Championships, and two National League titles. Peter CLOHESSY (1984 and Class of 1985) played rugby for Munster and was capped 54 times for Ireland. Stephen IMBUSCH (Fielde 1986) was appointed Principal of Walpole High School in Massachusetts, USA, in 2010. Helen KELLY HOLMES (Jogues 1986 ) was a major force in reestablishing the Crescent Past Pupils Union, and she was President from 1996 – 2011. She works in the University of Limerick in the school of Languages, Literature, Culture and Communications. Helen also manages the UL Orchestra. Helen NORMOYLE (Jogues 1986) was Director of Marketing & Audiences at the BBC and a member of the BBC Marketing & Audiences Board until 2012. George HESLIN (Southwell 1987 ) is Artistic Director of Origin Theatre, New York, and the photograph shows him with the US President at the 2011 White House St. Patrick’s Day Reception. Tony O’CONNOR (Gonzaga 1987 ) won the World Championship Rowing Gold Medal in the lightweight coxless pair with Gearoid Towey in Lausanne in 2001. He had previously won two silver medals in the same event in 1996 and 1997. He coached the Irish rowers in Athens in 2004. Tony has been inducted into the Irish Rowing Hall of Fame. John FULHAM (Hayes 1988 ) is an assistant Bank Manager with AIB, and is a former European champion and Paralympic finalist. Ray JORDAN (Xavier 1988) is the Director of Self Help, an Irish development agency engaged in promoting and implementing integrated sustainable development programmes in rural Africa. Ray was previously the Emergency Coordinator for GOAL. Jim CLARKEN (Berchmans 1989) is the Chief Executive of Oxfam Ireland. Paul WALLACE (Faber 1989) played international rugby for Ireland 45 times between 1995 and 2007, and three times for the Lions. He now works as a television sports analyst. Eithne DUGGAN (De Britto 1990) captained the All Ireland Cork Camogie Team that won the All Ireland Championship in 1998. Gina NILAND (De Britto 1990) received the Tennis Ireland’s Maunsell Award, in 2002. She won the Irish Close Championships in1994, 1995, 1996, 1997 and 1998.Gina also won almost every domestic title and was a mainstay of the Irish Federation Cup team for twelve years running. Dermot WHELAN (Castillo 1999) is a comedian who appears regularly on TV, on The Panel and The Republic of Telly. Reena COLE ( Jogues 1991) is a Lecturer in the Department of Mechanical and Aeronautical Engineering University of Limerick. Her speciality is in Blood pressure induced Stress/Strain in Artery walls and the Thermal design of electronic systems. Tom COMYNS (Jogues 1991) holds the Irish Junior and Senior 4 x 100 relay records, and represented Ireland in the 2000 and 2004 Olympics. He has a PhD in Sports Science. Andrew McNAMARA (Canisius 1992) is a National Hunt jockey. He won the Queen Mother Championship Chase on Newmill, on March 2006 at Cheltenham, but regards his win in the Hennesy Gold Cup on Beef or Salmon in 2007 as his greatest victory to date. Simon CARSWELL (Xavier 1994) is the Finance Correspondent for the Irish Times, and author of Something Rotten – Irish Business Scandals, and of Anglo Republic – Inside the bank that broke Ireland. 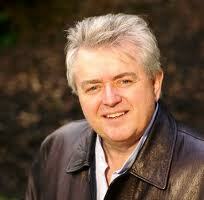 In October 2011 he received the inaugural National Newspapers of Ireland (NNI) award of Journalist of the Year. Paul GLEESON (Xavier 1994) rowed across the Atlantic Ocean in 2005 – 2006with Toni Holmes. Paul and Tori have written an account of their 86 day voyage in Little Lady, One Man, Big Ocean, – Rowing the Atlantic. Caitriona JACKMAN (Hayes 1999) completed her Doctorate in Astronomy, and now works as a Planetary Scientist at the Imperial College London as part of the Cassini satellite magnetometer (MAG) team based at Imperial. Her main research interest is the dynamics of Saturn’s magnetosphere. Eoin REDDAN (Delaney 1999) plays rugby for Leinster and Ireland and has 47 international caps (December 2012). Conor NILAND became the first Irishman to reach the main draw at Wimbledon since 1980 and was ranked as high as 129 in the world (in 2005) was forced to retire from tennis due to injury in 2012.At Crescent Conor was Captain of a Crescent team that won the Munster Junior Tennis Championship. Roisin FLINN (1998 – 2000; Class of 2004) first represented Ireland in Hockey in 2007, and captained the Irish team against Canada in 2009. Robbie McNAMARA (2006) was awarded the Irish Examiner National Junior Sports Star Award for horse racing for 2006, and was the leading jumps jockey at the 2010 Galway Festival.